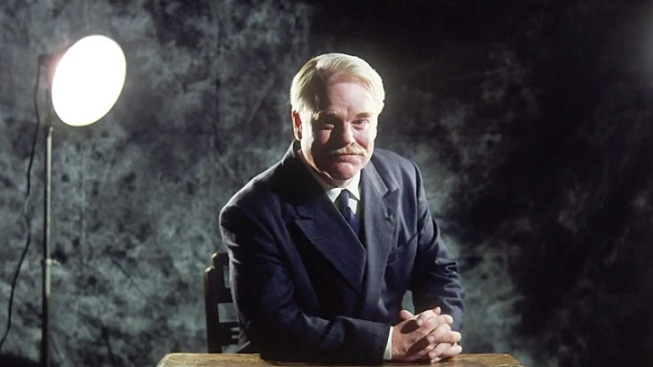 "The Master" Footage Features Philip Seymour Hoffman as an "Inquisitive Man"
There are plenty of movies still on the horizon to get our fanboy heartbeat racing, like "Amazing Spider-Man," "Dark Knight Rises" and "The Bourne Legacy." 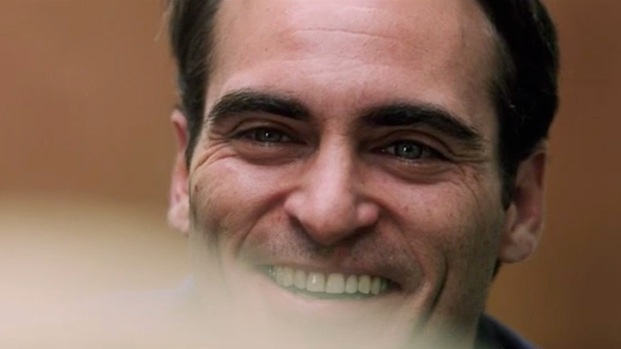 But for pure artistry, nothing gets our motor running like "The Master," the first film from writer-director Paul Thomas Anderson since his 2007 masterpiece "There Will Be Blood." This new film stars Philip Seymour Hoffman as the L. Ron Hubbard-like founder of a faith-based organization who takes in and mentors an angry drifter played by Joaquin Phoenix. This is the second teaser for the film and it's just as promising, if not better than the first. Hoffman exudes a barely controlled mania at war with a towering intellect, speaking in the overly mannered fashion of a man trying to impress or manipulate. Phoenix is all id, and Amy Adams as Hoffman's wife looks to be one creepy Pollyanna. The cinematography is raw, grainy and vaguely washed out, evocative of American cinema's late '60s/early '70s peak, and the score by Johnny Greenwood, the guitarist for Radiohead who scored "There Will Be Blood," is all haunting syncopation, like a half-busted clock on a time bomb. Adding to the drama is the fact that the film was inspired by Scientology. PTA directed Tom Cruise to an Oscar nomination in "Magnolia," and has remained friendly with him. Out of respect for Cruise, he gave the actor a private screening of "The Master," and that Cruise “had issues” with some aspects of the film, according to The Wrap. "The Master" opens Oct. 12.